Biology is a diverse discipline with graduates in fields such as biotechnology, cell biology, conservation, ecology, physiology, environmental sciences, and health-related sciences. broad and deep research experience needed to succeed in a graduate program. Students in all degree programs benefit from extensive laboratory work, gaining hands-on experience with modern laboratory and field equipment. Through an affiliation with the Gulf Coast Research Laboratory at Ocean Springs, Mississippi, the department offers a variety of courses in marine biology. Our location in Little Rock provides students with immediate access to commercial and government entities with research and internship opportunities, and cooperative education that provides specialized learning. The world-class medical facilities of the UAMS campus, the Arkansas Game and Fish Commission, as well as the Health Department and Arkansas Department of Environmental Quality are all within minutes of the UALR campus. 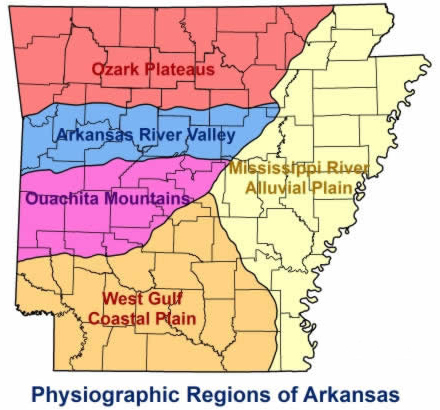 Our central location in the state ensures that it is only a short drive to each of the five distinct physiographic areas of the state: the Ozark Plateaus, Arkansas River Valley, Ouachita Mountains, Mississippi River Alluvial plain, and West Gulf Coastal Plain. Biology majors and graduate students capitalize on these resources for career opportunities after graduation and to support research during their academic programs.